San Francisco, California — Silicon Valley-based BootstrapLabs, a global accelerator for foreign technology startups, today announced that Jeff Hoffman, Founding team member of the Priceline.com group of companies and serial global technology entrepreneur, has joined its Advisory Board. Over the past 2 years, Jeff has spent the majority of his time supporting entrepreneurs and small businesses on a global basis, serving on the global advisory boards of Global Entrepreneurship Week, the US State Department’s GIST program (Global Innovation through Science and Technology), the APEC Startup Initiative (Asia Pacific Economic Cooperation), and many others. He works with the White House, the State Department, USAID, and similar organizations internationally on economic growth initiatives and entrepreneurship programs. His activities have supported entrepreneurs in over 130 countries. Jeff is a frequent keynote speaker, invited to speak in over 50 countries. He speaks on the topics of innovation, entrepreneurship, and leadership, and will be publishing a book on how to scale a business, in the summer of 2014. Jeff also teaches innovation workshops to major corporations on a regular basis. Jeff is a featured business expert seen on Fox News, Fox Business, CNN, CNN International, Bloomberg News, CNBC, ABC, and NPR, and in publications including Forbes, Inc., Time, Fast Company, the Wall Street Journal, and others. “Jeff’s current life mission and BootstrapLabs core vision are incredibly aligned and together we can further discover, educate and empower talented entrepreneurs around the world. Jeff is one of those rare individuals that has built and scaled businesses from the ground up to truly global businesses and his experience as well as relationships will be invaluable to BootstrapLabs and our portfolio companies going forward” said Benjamin Levy, Co-Founder of BootstrapLabs. “I have spent the last two years traveling non-stop around the world to meet and support entrepreneurs, and I can tell you, I am impressed with the level of talent, drive, passion and innovation I have seen in some of the most remote places. I decided a few years ago to launch entrepreneurs rather than launching new companies because over the lifetime of an entrepreneur, he or she might have 2 or 3 break-through ideas that will truly change the world. It was obvious to me when I met Nicolai and Benjamin that they too are passionate and driven entrepreneurs that deeply care about other entrepreneurs. BootstrapLabs is a unique catalyst to empower the talent I have witness around the world and I am excited to work closely with the founders of BootstrapLabs going forward as they spread their wings across the globe”, said Jeff Hoffman. “I founded BootstrapLabs with the notion that smart Entrepreneurs are everywhere on our planet, but the ability to apply their talent is not – which is the very reason why our reach needs to be global. 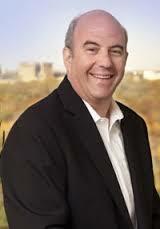 Having Jeff Hoffman, who shares our view of the world to join us on this mission is very exciting. He will be a tremendous resource for BootstrapLabs as we continue our journey to become a global force of change by empowering entrepreneurs from every corner of our planet.” said Nicolai Wadstrom, Founder of BootstrapLabs. Jeff Hoffman will join Rikard Steiber, Chief Digital Officer at Modern Times Group and former Global Marketing Director of Mobile and Social Advertising at Google, Ariel Poler, active Silicon Valley Angel Investor, Founder of one of the first web-analytics companies and a pioneer of SMS marketing and Jason Hoffman, VP at Ericsson and Founder of Joyent who all joined BootstrapLabs Braintrust last March. About BootstrapLabs: BootstrapLabs is a Global Startup Accelerator and hands-on investor in Silicon Valley with a model tailored for foreign born startups. BootstrapLabs focus is on technology startups with global potential and assist them building disruptive companies by relocating to Silicon Valley, while maintaining their roots in their country of origin. Our approach is focused on relationship building and fast execution to accelerate equity value creation. We connect founders to industry thought leaders, strategic partners and smart investors in our network to ensure their long term success. Since 2009, BootstrapLabs has helped foreign startups such asPrezi, AudioDraft and Zerply connect and relocate to Silicon Valley for good, while maintaining offices in their home countries.